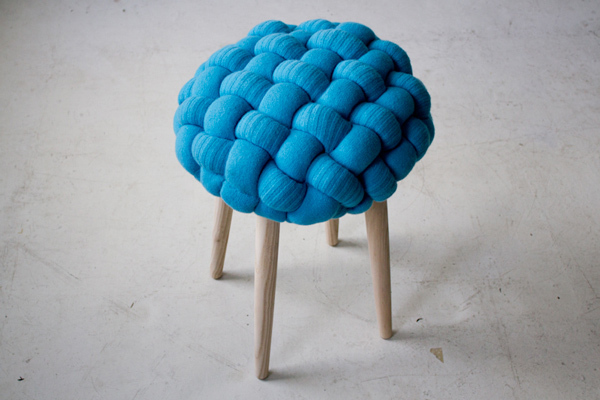 These beautifully handmade and tactile stools are design by Claire-Anne O’Brien. Inspired by elements of the knitted stitch itself such as rings and loops, the structures are revealed and celebrated through exaggerated scale in bold and textured forms. 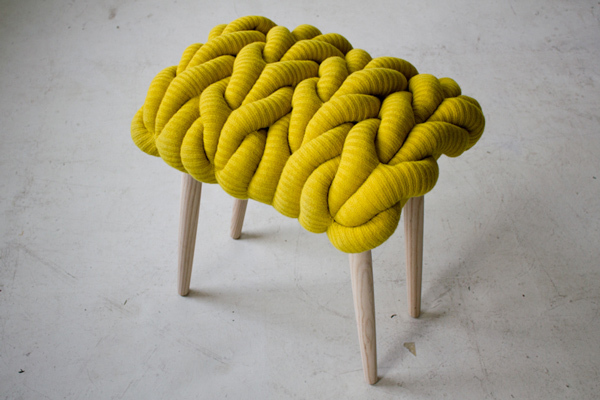 Lambswool and Sheeps wool, in a mix of hand and machine knit stitches, are constructed into playful statement pieces.